Transport for London says it will “have to work even harder” to deliver the aims of Sadiq Khan’s transport strategy due to changing patterns of transport use in the capital presenting “several challenges”, according to key data soon to be published in the eleventh annual Travel in London report. An overview of the coming report, considered by the TfL board, says that in 2017 growth in public transport use “levelled off” following continuous increases since 2000, while some parts of the city have seen “increases in motorised road traffic,” primarily caused by more vans. Across London, 2017 also saw a small decrease in the average number of cycle journeys made per day compared with 2016, prompting the overview to characterise the growth of cycling in London in recent years as having “stalled”. The Mayor’s transport strategy, published earlier this year, prioritised “a good public transport experience” and a “healthy streets” approach to encourage walking and cycling. Demand for bus journeys grew for the first time since it began to decline in 2014, albeit very slightly, by 0.1 per cent and it is still 6.5 per cent down on 2014. 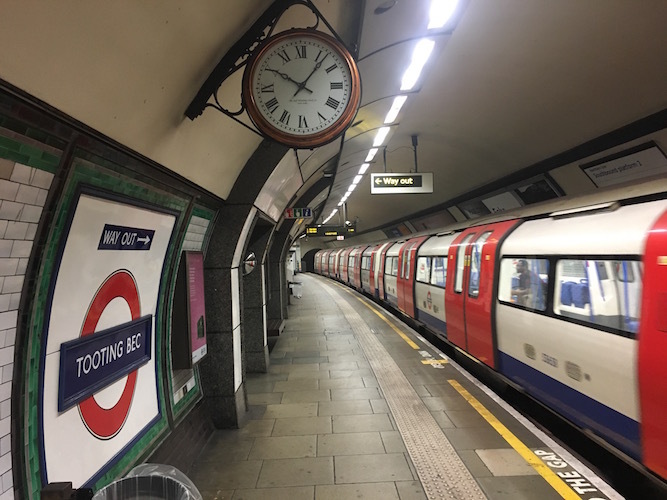 The year 2017 saw a decline in demand for London Underground services for the first time since 2009, with journeys down by 1.1 per cent on the previous year, again following a long period of annual growth. There was also “flattening demand” for National Rail services in the capital. Cycle journeys per day declined from 730,000 to 720,000 according to the overview – a fall of 0.8 per cent – but it is pointed out that this varies from region to region within Greater London, with Inner London seing a 7.7 per cent increase in cycling trips – complete excursions from starting point to destination. The overview also says that Central London saw an increase of eight per cent in “cycle trips and cycling” in the first quarter of 2018/19 compared with the same period of the previous year, and points to large increases in the use of many cycle superhighways and other routes with new road infrastructure. However, a separate report for TfL’s customer service and operational performance panel last month said that increases in numbers of cycling trips can “largely be attributed to the fact that existing cyclists are cycling more often” and that barriers to more people taking up cycling include “the perception that cycling is not for ‘people like us’.” The report confirmed that currently “cyclists are most likely to be male, aged 25-44 and of AB social class” (see page 52). The overview says that the number of walking trips in London increased by an estimated 0.5 per cent in 2017, “largely reflecting population growth” during that year. A significant “background trend” of Londoners making fewer trips of all kinds is identified, with the average per person falling to 2.13 per day in 2017/18, compared with 2.64 in 2006/7. This is thought to reflect lifestyle and behavioural changes, such as greater home working and internet shopping. The full Travel in London report is due to be published by the end of this month.